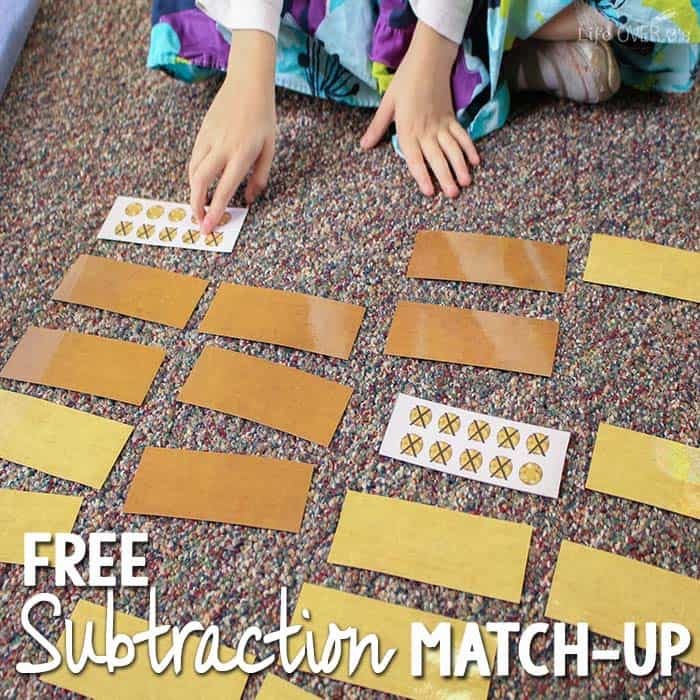 Free Subtraction Matching Game & Fun Manipulatives! We had so much fun with today’s “Learn with Your Craft Stash” activity! 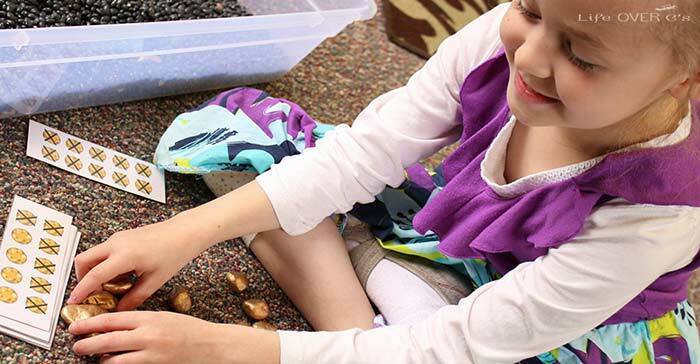 As part of the 21-series, today I’m sharing how we used rocks to create a super fun math manipulative and play this free subtraction matching game. 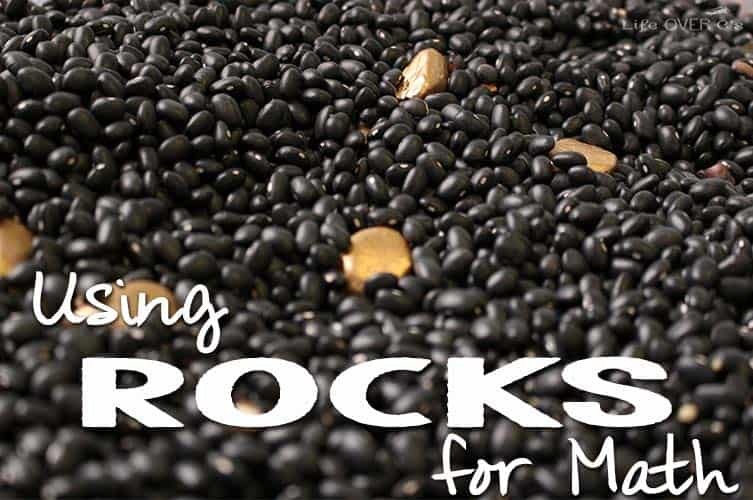 So get some rocks & spray paint and get ready to create a manipulative that your kids will love! Spray one side of the rocks with the spray paint. Wait for them to dry and then turn them over and spray the opposite side. I use scrapbooking paper to print all of my games so that the kids can’t see through the cards. It also makes the games a bit more fun-looking. 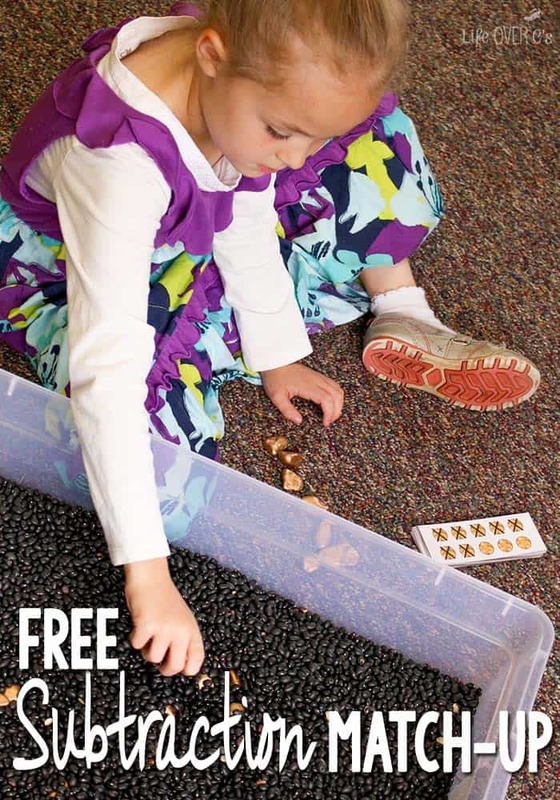 We started off my using the rocks in a sensory bin full of black beans. Jaida dug for gold to represent the pictures on the cards. After she worked all the way through the 10s facts, we played a game of Memory with the subtraction problems and gems cards. 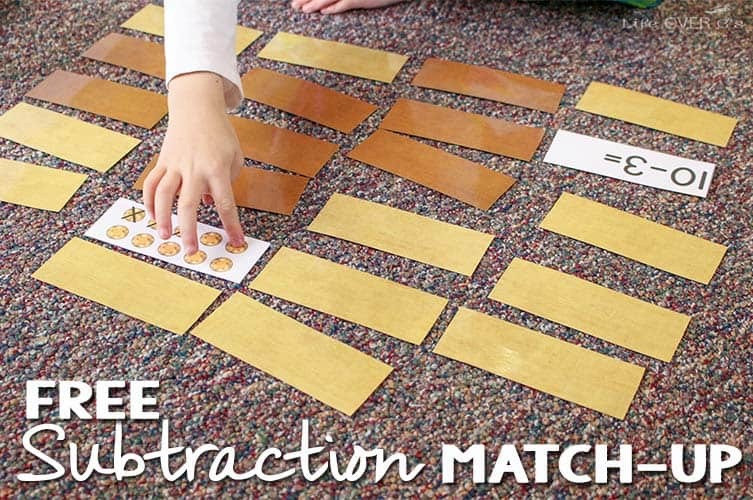 Download the Free Subtraction Matching Game here. Be sure to check out all the other great learning ideas in the “Learn with Your Craft Stash” series! Cool learning activity! Thanks for sharing on the Thoughtful Spot Blog Hop! 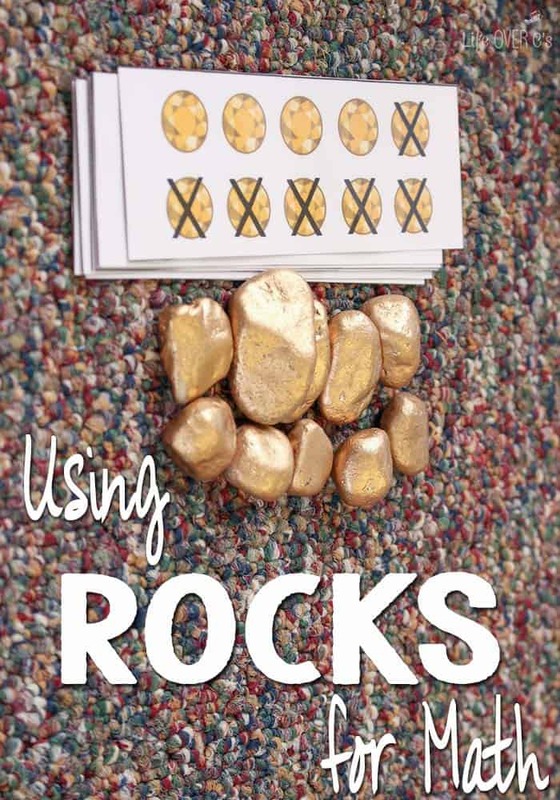 LOVE “Using Rocks for Math” and the different ways to use it. Thanks for sharing!